With the recent successes of Drive for Diversity graduates Kyle Larson, Daniel Suarez and Darrell Wallace Jr., the next batch of D4D drivers are ready to make a name for themselves. Over the next few weeks, Fast Facts will take a quick look at the young careers of these talented and diverse drivers. Up first: Collin Cabre. Collin Cabre was born Oct. 8, 1993 in Tampa, Florida. He began motocross racing at age 4, spending six years racing on the national circuit. At age 10, Cabre made the switch to go-karts, then into the Open Wheeled Series, where he won the Rookie of the Year award in 2008 and finished seventh in points. At age 16, Cabre jumped into a sprint car for the first time. Before joining the D4D program, he was racing dirt and asphalt sprint cars in the USAC, USCS and AVSS series. 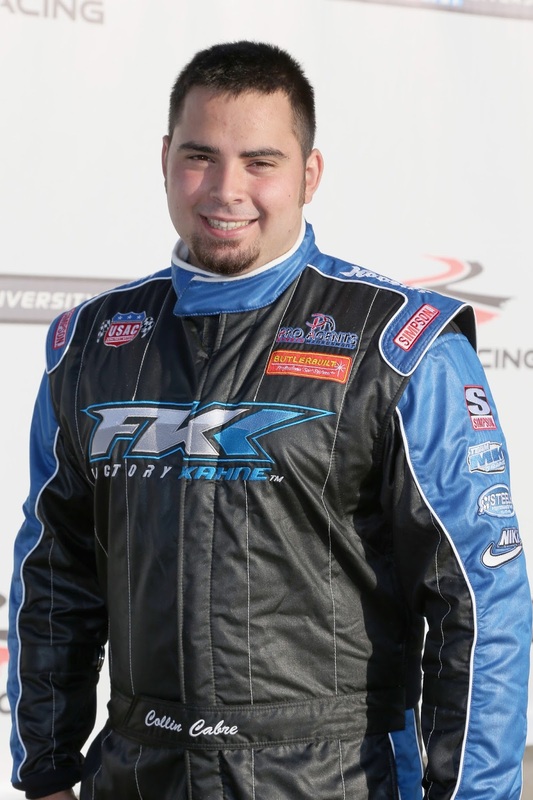 Cabre first joined D4D and Rev Racing in 2015, racing in the K&N Pro Series East. He picked up his first top 10 start and finish at Iowa in July, and also picked up a fourth-place finish at Virginia International Raceway in August before winning the season finale at Dover in October. The win moved Cabre into the top 10 in points for his rookie season. Cabre will once again compete in the K&N Pro Series East for Rev Racing in 2016, his second season with D4D. Learn more about Rev Racing and the D4D program at revracing.net.